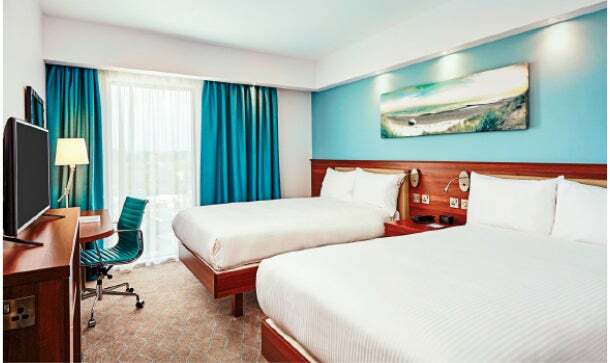 Big hotel chains are going low-budget, appealing to workers for whom cost and cool are more important than cushy comfort. Hyatt’s new Hyatt House in Denver offers local art and craft beer. 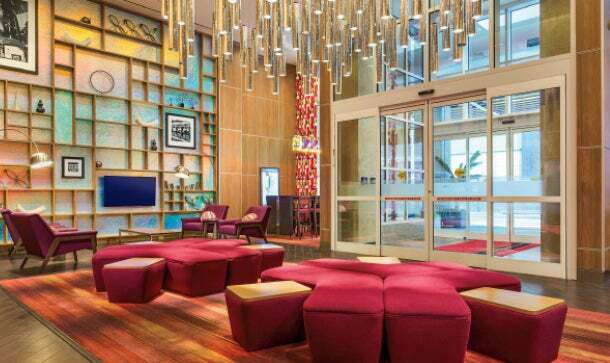 Marriott’s Moxy Hotels opened this April in New Orleans, with a photo booth in the lobby. 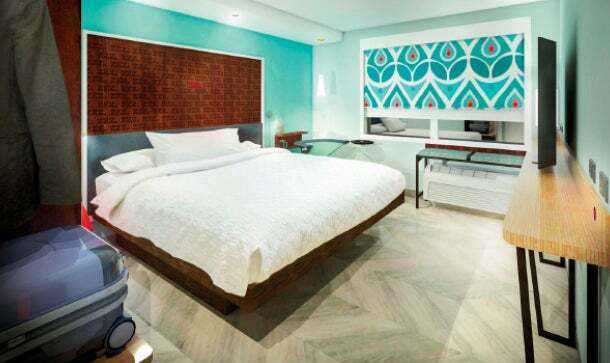 And Hilton will begin rolling out Tru later this year, with rates starting at $90 per night. 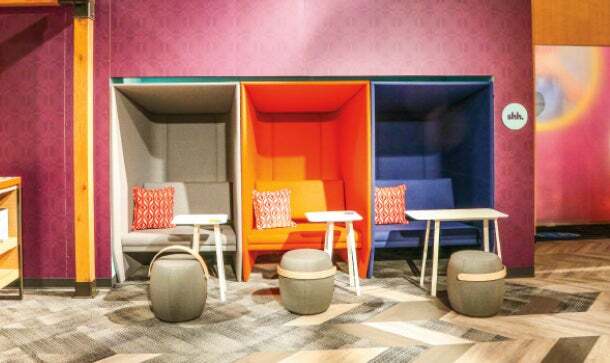 “The question was how to design a new hotel brand without thinking like a traditional hotel,” says Phil Cordell, Hilton’s global head of focused service. 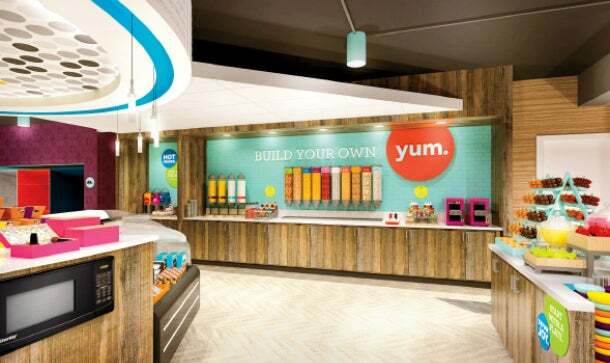 The answer: Think like a Starbucks, a community center and a modern office. So, what to expect? 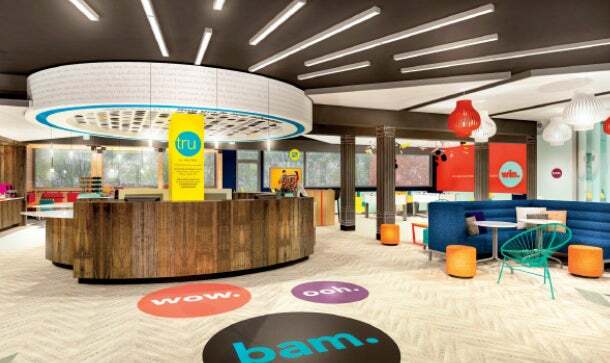 Here, we compare Tru to Hampton by Hilton, the brand’s next step up. The usual: four pillows, a white duvet and a bed skirt on a box-frame bed, plus a traditional desk, a dresser that doubles as a TV stand and a coffeemaker. A front desk, and then all that stuff you use when you have nowhere better to be -- living-room-like sitting area, dining area and 24-hour convenience store stocked with snacks and drinks. Basic and body-building: scrambled eggs, bacon, waffles, turkey sausage, hard-boiled eggs. 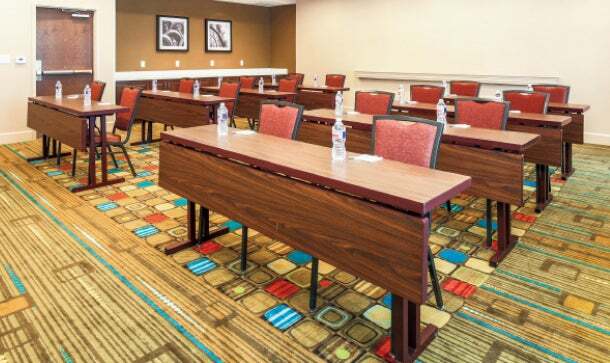 Traditional business centers and meeting rooms, to put everyone to sleep. 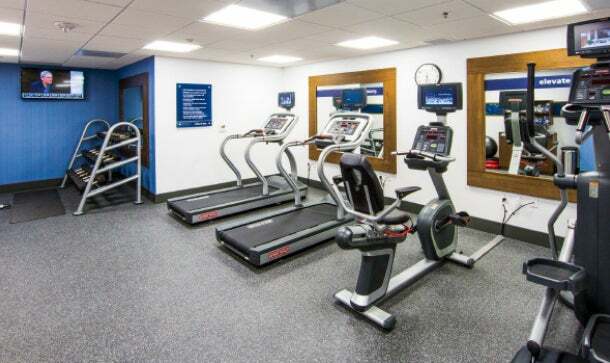 Decent fitness centers -- and you might even get a pool, depending on the property. No desks (which go unused by bed-reclining laptop users) or dressers (there’s an open closet with hangers and hooks) or box frame (platform beds instead). You do get a white duvet -- but only three pillows. A 25 percent bigger space with zones for work (laptop-friendly spaces), play (foosball and Ping-Pong tables), lounging (hammock chairs), drinking (wine in disposable wineglasses) and dining. 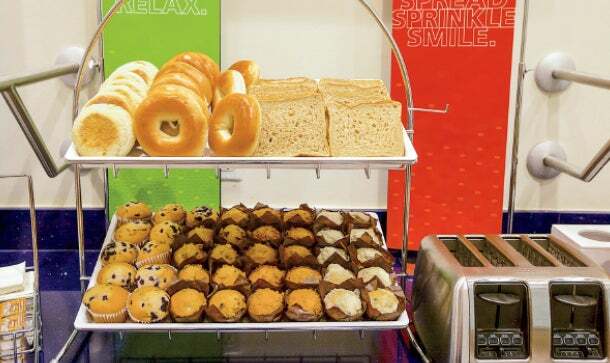 Cute and customizable: a breakfast bar of basics -- Greek yogurt, bagels and so on -- plus a 30-item topping bar ranging from jam and cheese to sprinkles and frosting. There are semi-soundproof cubes and a printer in the lobby. Or gather a meeting at the stadium seating area near the Ping-Pong table. Typically no pool -- did you ever use one anyway? 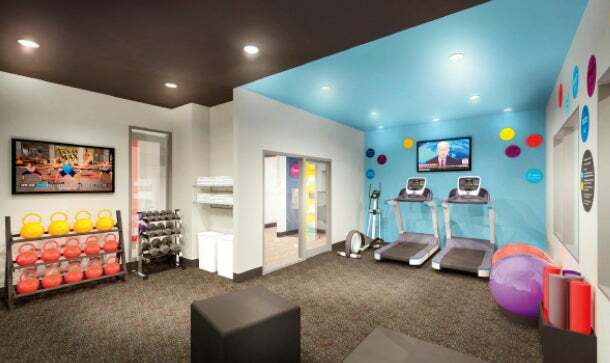 But you’ll get natural light from window walls and more mat space for yoga and stretching.